There are many scientific theories for modifying behaviours. Operant conditioning that describes the consequence that follows a specific behavior is the most common. There are 4 responses to a behavior that will result in an increase or a decrease of the likelihood of the dog doing it again. Reinforcement (R) strengthens behavior and makes it more likely to occur again in the future. Punishment (P) suppresses behavior and makes it less likely to occur again in the future. Positive (+) and negative (-) are mathematical symbols that indicate whether something was added to or removed from the situation. They do NOT refer to positive and negative in the sense of good and bad. Positive reinforcement (R+): Something is ADDED to INCREASE the future likelihood of a behavior. For example, you give the dog a treat after he sits to make it more likely that he’ll sit again in the future. Negative reinforcement (R-): Something is REMOVED to INCREASE the future likelihood of a behavior. For example, in the forced retrieve (not a clicker technique), a dog’s ear is pinched to force him to open his mouth to take the dumbbell. When the dog opens his mouth — the desired behavior — the ear pinch is released. He is more likely to open his mouth for the dumbbell in the future. Positive punishment (P+): something is ADDED to DECREASE the future likelihood of a behavior. For example, a squirt of water is applied (not a clicker training technique) to discourage a dog from jumping on the counters. Negative punishment (P-): something is REMOVED to DECREASE the future likelihood of a behavior. For example, a dog jumps on you to get attention. When he jumps, you turn away, removing your attention. He is less likely to jump for attention. At The Behaviour Clinic we carefully select 1 or more of these 4 responses to modify individual behaviours, always complying with the Force-free approach. Additionally techniques such as “shaping”, “extinction” and “chaining” are used to further develop the responses. However, positive reinforcement and shaping is our preferred choice for developing the most appropriate relationship between owner and dog. Gone are the days of “pack theory” and “status” driven approaches. Most qualified, experienced and respected behaviourists and trainers are recognising the detrimental effect of bullying techniques. Punishment only frightens your dog, is likely to break your dog’s spirit and can inadvertently increase the behaviour it was reprimanded for. Stress levels increase in both parties like a mirroring effect. We at The Behaviour Clinic are proud to be a Force-free practice. We are committed to: No Shock, No Pain, No Choke, No Fear, No Physical Force, No Compulsion Based Methods are employed to train or care for a pet. This means not only are any obedience commands taught using positive reinforcement but we go one step further by encouraging the dogs to prefer to be good. This relies on minimal skill by the owners and anyone can do it. It relies on slightly changing how you react to a given situation. The owners are positively reinforced too! 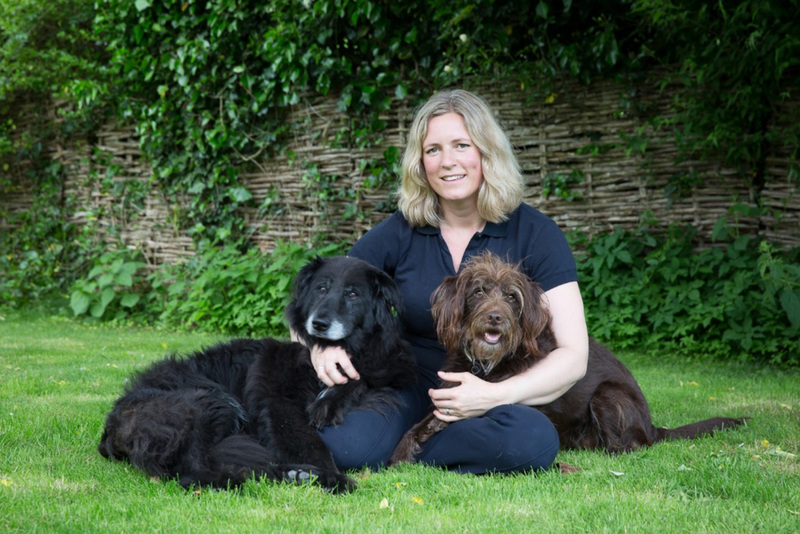 Our practice concentrates on enabling owners to succeed, confidence to grow and relationships between owner and dog to blossom. Formal obedience has its place. It is useful to teach dogs actions that make owner lives easier e.g. sit for putting lead on. It also stimulates the mind of the dog and encourages them to enjoy doing things for you and with you. Contrary to common belief owning an obedient dog does not necessarily ensure having a nice dog to live with. For this you need to address the dog’s behaviour choices. During the consultation individual situations and requirements are assessed and together we devise a modification programme to suit. Many factors are taken into consideration; time available, household dynamics, physical capabilities, motivation, breed of dog and owner preferences. The Behaviour Clinic uses simple techniques that are easy to understand and carry out. Most of our clients comment that they have been pleasantly surprised at how simple and effective our programmes are. Understanding the underlying cause and motivation for the behaviour means that using behavioural modification the outcome is altered to achieve results. Thus the owner’s change of response to a situation results in a long term beneficial effect. This is markedly quicker and easier than conventional obedience training which requires a higher level of skill, lengthy practice and takes longer to achieve results. In effect dealing with the cause rather than just managing the symptoms is the most efficient way. In many cases there is a quick fix in one consultation. Because we identify and address the underlying cause and alter the consequences of a behaviour, the dog chooses to behave appropriately. This straightforward easy swap means that the owner understands the problem and is then often confident and happy to continue the programme with minimal ongoing support. 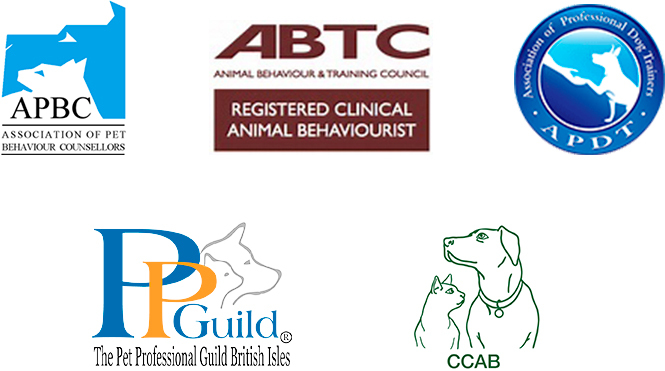 Our clear explanations and provision of informative handouts helps owner to have a good understanding of the behaviour process. Techniques are easy and straightforward. These lead to the owner becoming confident in handling their dog.